The ruins of Dunluce Castle sit on the edge of a cliff overlooking the sea in County Antrim, Northern Ireland. The grounds are free to walk through and tours of the castle are available daily for a reasonable fee. The castle was built at the end of the medieval period. Its history has been described as dramatic and tumultuous owing to its treacherous location, seizure by various competing powers, survival through periods of upheaval and violence, and tales of hauntings by a banshee. 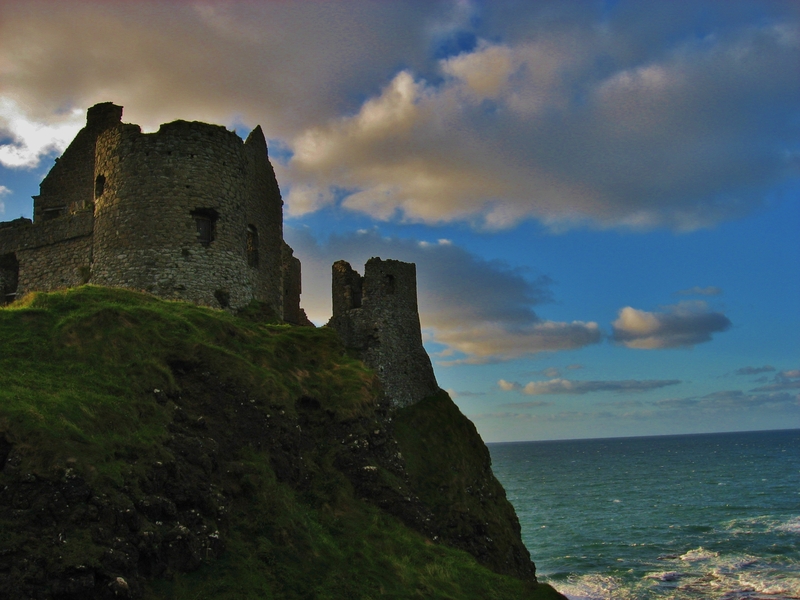 In fitting with its turbulent history, legend says that a storm destroyed the castle kitchens in 1639, which crashed into the sea killing the occupants within. After such events, the castle eventually fell into its abandoned present state. The castle maintains its aura of danger with unstable ground conditions. It is safe, for the most part, to wander around the grounds (definitely not recommended after dark! ), but just be aware of uneven terrain, areas of no access, and holes opening to the ocean below. 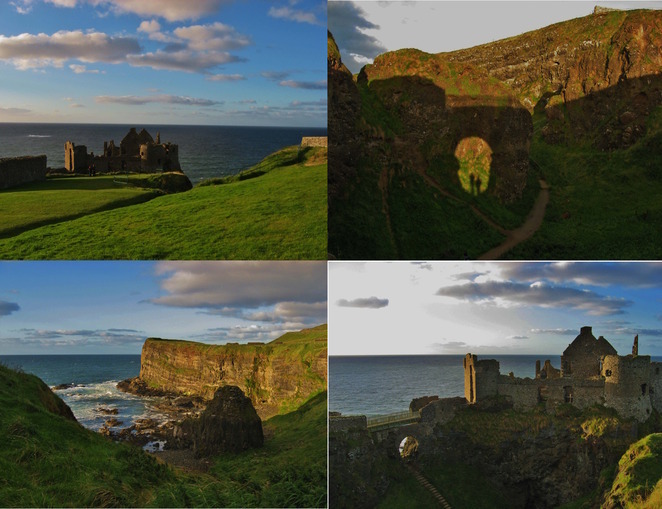 This dramatic beautiful ruin perched at the edge of the sea is certainly worth a stop on your journey through County Antrim.